An easygoing felt clog features a patent-pending FitFlop Microwobbleboard footbed that absorbs shock and reduces the pressure on your feet and joints. 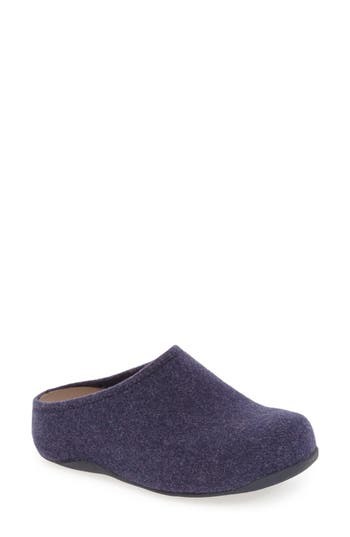 Style Name: Fitflop 'shuv' Felt Clog Flat (Women). Style Number: 887706. Available in stores. Antiqued studs and braided trim add vintage allure to a comfort-centric flat grounded with a lightweight, flexible wedge sole. 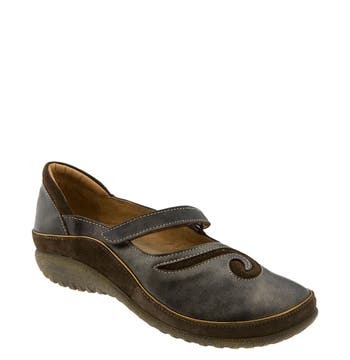 Style Name: Rieker Antistress Daisy 69 Flat (Women). Style Number: 5286919. Available in stores. Antiqued studs and an embossed medallion paired with a newspaper-inspired print add vintage allure to a comfort-centric flat grounded with a lightweight, flexible wedge sole. 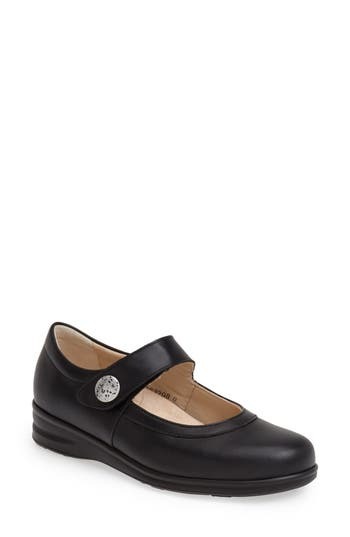 Style Name: Rieker Antistress Daisy 01 Flat (Women). Style Number: 5286973. Available in stores. 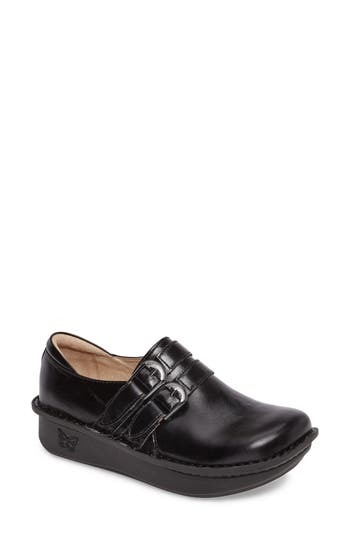 A classic driving moc designed with chic loafer styling is finished with a nubby rubber sole. 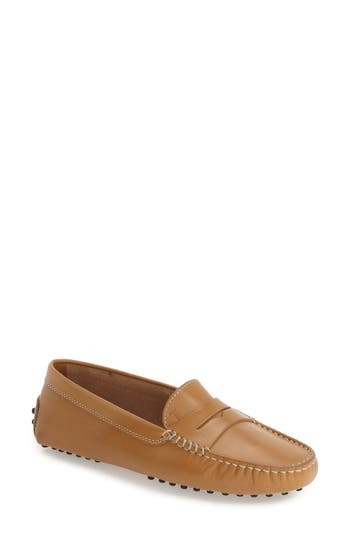 Style Name: Tod's 'Gommini' Driving Moccasin. Style Number: 362026. Available in stores. 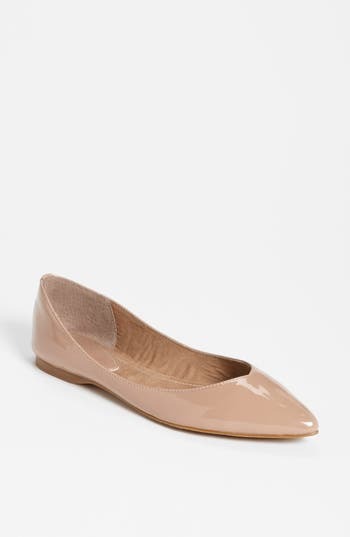 Buttery-soft antiqued leather defines a flexible ballet flat finished simply with stitching that outlines the curvy topline. Bench-crafted by hand, Frye's 150-year-old heritage of quality leatherwork is evident in every style. 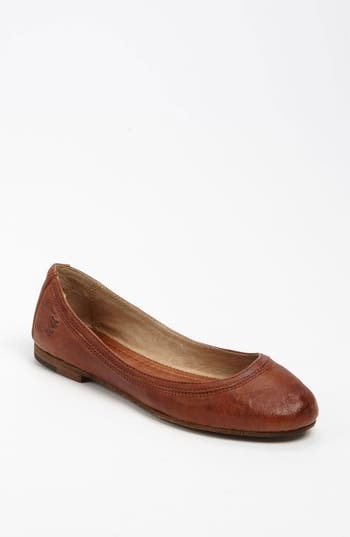 Style Name: Frye 'Carson' Ballet Flat (Women). Style Number: 344099. Available in stores. An embroidered logo medallion lends signature sophistication to a sleek, color-blocked slip-on set on a jute-trimmed espadrille sole. 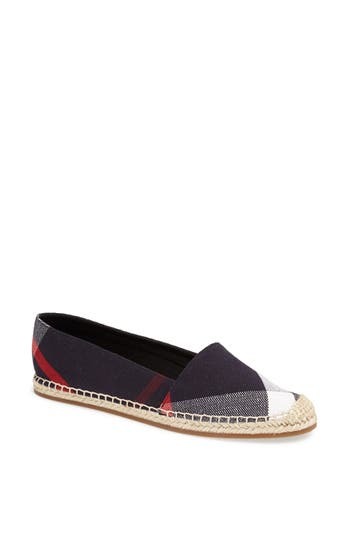 Style Name: Tory Burch Colorblock Espadrille Flat (Women). Style Number: 5045604. Available in stores. Soft suede and leather mary jane with an angled hook-and-loop strap is hand-stitched and fitted with a shock-absorbing cork and latex footbed for exceptional comfort all day long. Style Name: Naot 'Matai' Mary Jane. Style Number: 216927. Available in stores. Lightweight, comfortable, and an easy everyday choice, TOMS fan-favorite slip-on in sturdy canvas gets livened up with brightly patterned lining. 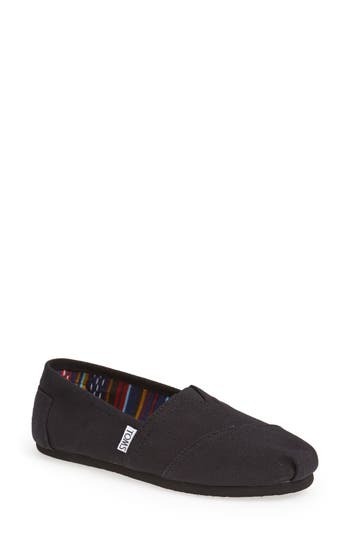 Style Name: Toms Classic - Alpargata Slip-On (Women). Style Number: 433337. Available in stores. Adjustable hook-and-loop strap tops a mixed-leather skimmer fitted with a removable cushioned footbed for unbelievable comfort. Style Name: Naot 'Kirei' Mary Jane. Style Number: 269239. Available in stores. 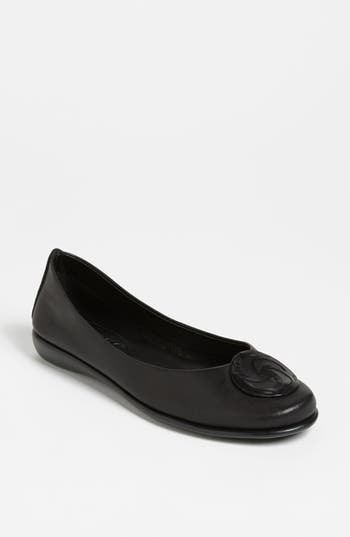 Assorted cutouts playfully detail a comfortable flat shaped from supple leather. Style Name: Arche 'Lilly' Flat. Style Number: 287293. Available in stores. Gleaming patent leather styles a classic driving moc finished with a nubby rubber sole. 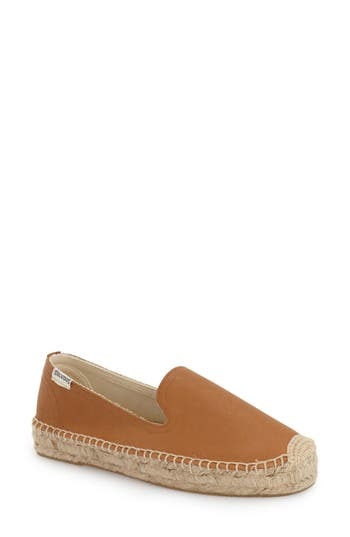 Style Name: Tod's 'Gommini' Moccasin (Women). Style Number: 510205. Available in stores. A lightweight rocker platform perfects the all-day ease of a feminine slip-on designed with plenty of plush, memory-foam cushioning. Style Name: Alegria 'Debra' Slip-On. Style Number: 577041. Available in stores. Complete your casual look with the effortless sophistication of a streamlined flat finished with a perfectly pointed toe. Style Name: Bp. 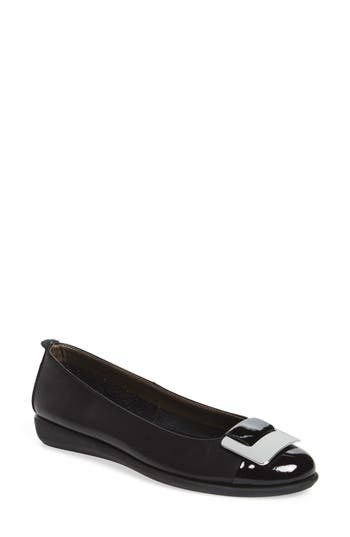 'Moveover' Pointy Toe Flat (Women). Style Number: 625424. Available in stores. A shimmery metallic finish lends subtle elegance to a mary-jane flat crafted with an removable, anatomical cork footbed and shock-absorbing sole for all-day comfort. 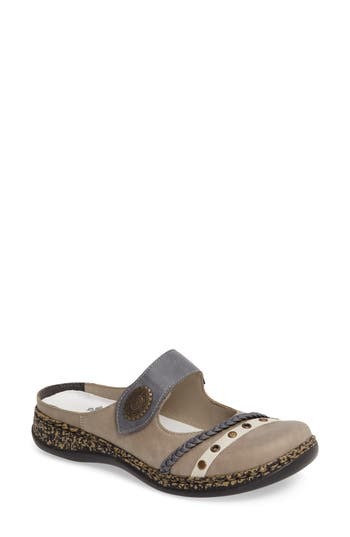 Style Name: Finn Comfort 'Aquila' Flat. Style Number: 903831. Available in stores. A patented sole design that adapts to the contours of your foot with minimal weight and maximum flexibility distinguishes a cushioned leather flat with understated styling. Style Name: The Flexx 'Bon Bon' Flat. Style Number: 934070. Available in stores. Iconic checks pattern an easy flat set on a breezy, jute-wrapped espadrille sole. A squared-off toe enhances the relaxed vibe, while a gilded logo plate at the heel provides a subtle touch of gleam. 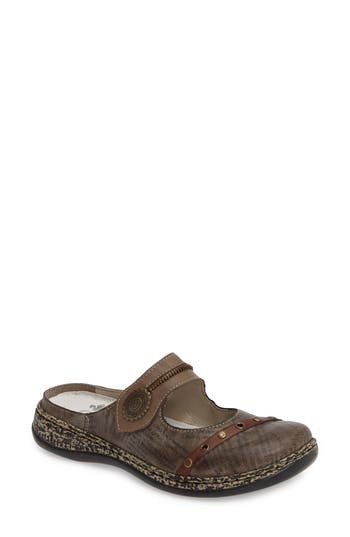 Style Name: Burberry Hodgeson Check Print Espadrille Flat (Women). Style Number: 557924. Available in stores. 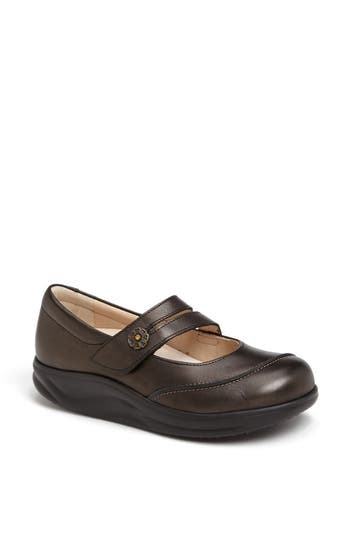 A stylish mary jane features a removable, anatomical cork footbed and a shock-absorbing sole for all-day comfort. Style Name: Finn Comfort 'Harumi' Mary Jane (Women). Style Number: 754400. Available in stores. Glittery perforations glam up a flexible flat that's made from fruit-scented PVC. 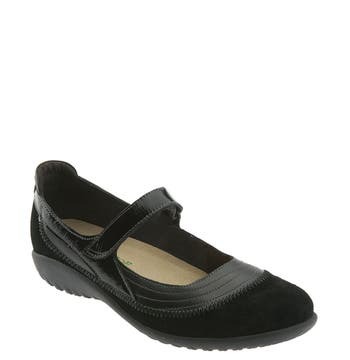 Style Name: Melissa 'Campana Papel Vii' Jelly Flat (Women). Style Number: 830897 2. Available in stores. Alexander Wang's Devon flat is a sophisticated spin on a the '90s revival trend. With its jute-trimmed platform and contrasting calfskin finish, this sporty style is easy to pair and easy to wear. 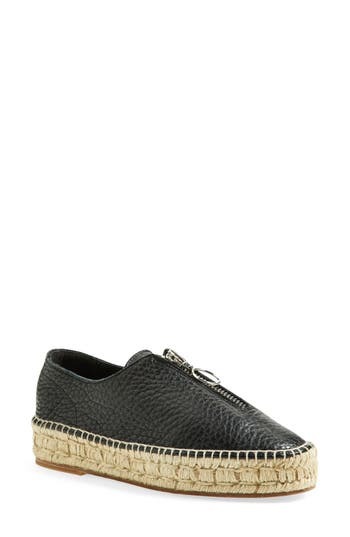 Style Name: Alexander Wang 'Devon' Espadrille Flat (Women). Style Number: 1034748. Available in stores. Fanciful embroidery takes center stage on an earthy slip-on grounded with a woven espadrille sole. 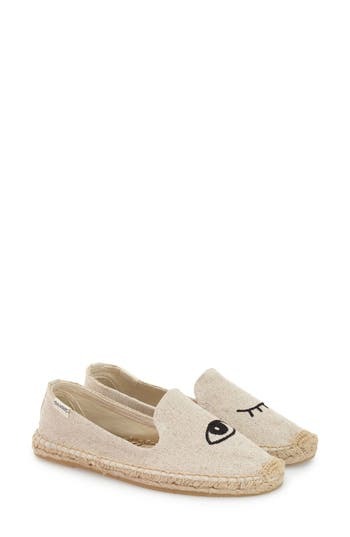 Style Name: Soludos Espadrille Slip-On (Women). Style Number: 1069749. Available in stores. 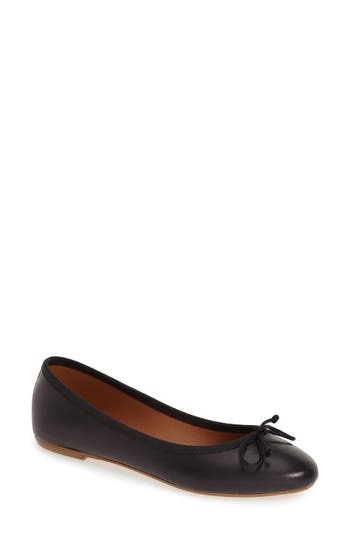 A dainty bow and grosgrain trim provide perfectly poised finishing touches for a sleek Italian-made ballet flat. Style Name: Summit 'Kendall' Ballet Flat (Women). Style Number: 1158563. Available in stores. A curved topline adds loafer-inspired sophistication to a definitive pointy-toe flat finished with a cushioned, arch-supporting insole. 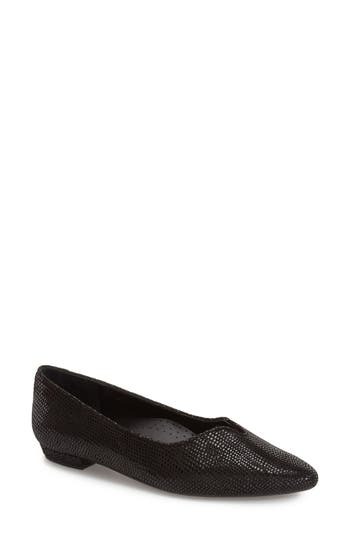 Style Name: Vaneli 'Ganet' Pointy Toe Flat (Women). Style Number: 1142538 1. Available in stores. 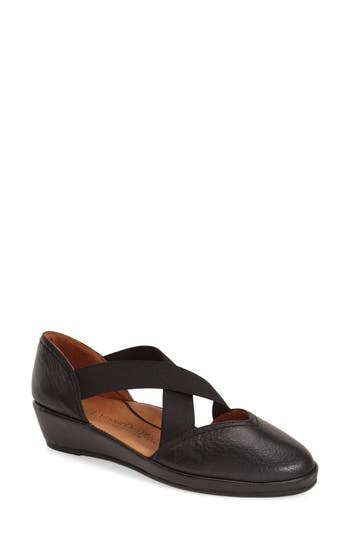 A streamlined d'Orsay wedge delivers impeccable everyday sophistication, while the crossed elastic-gore straps and cushioned insole ensure a custom fit and comfort. Style Name:L'Amour Des Pieds 'Bane' Wedge (Women). Style Number: 1142584. Available in stores. 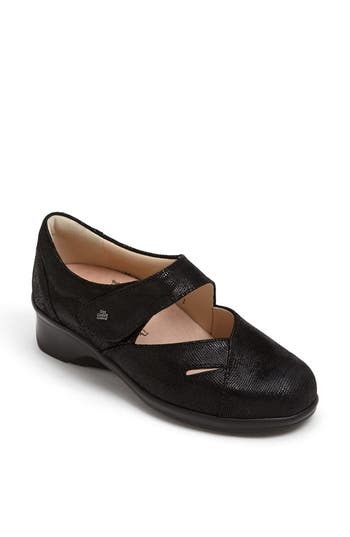 Squared-off perforations ventilate a flexible ballet flat styled with a rounded cap toe and grounded by a cushy rubber sole. Style Name: Gabor Perforated Ballet Flat (Women). Style Number: 5068752. Available in stores. Soft leather refines an easygoing wingtip oxford stamped with classic brogue detailing and featuring a removable, anatomical cork footbed and a shock-absorbing sole for all-day comfort. Style Name: Finn Comfort 'Budapest' Oxford (Women). Style Number: 5072674. Available in stores. 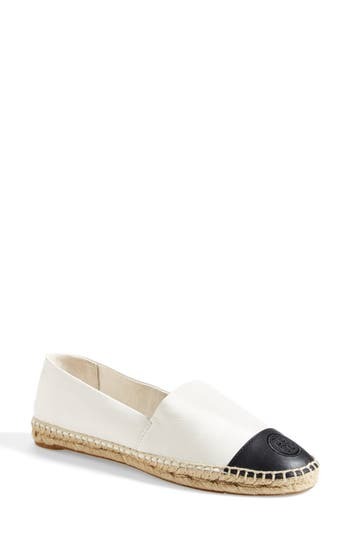 A subtle pattern adds a modern touch to a classic, slip-on espadrille. 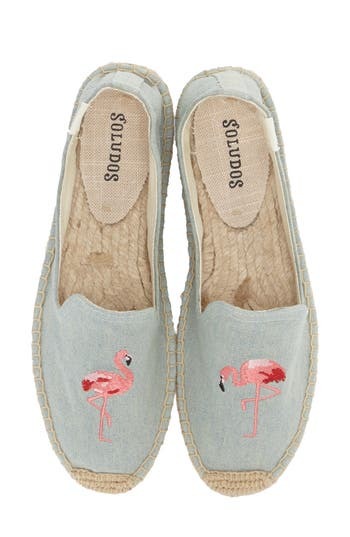 Style Name: Soludos 'smoking' Espadrille Platform Shoe (Women). Style Number: 5049625. Available in stores. A pretty, embossed pattern distinguishes a double-belted loafer built for comfort with a roomy toe box and a signature footbed cushioned with cork, memory foam and springy latex. 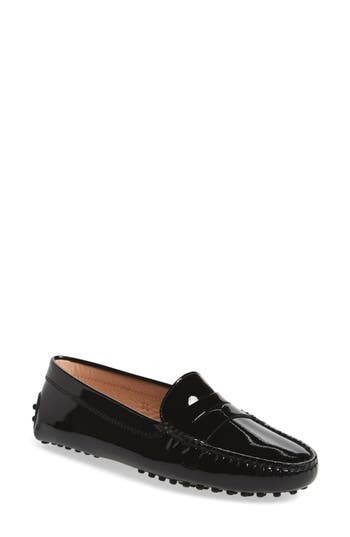 Style Name: Alegria 'Alli' Loafer. Style Number: 982158. Available in stores. A floral button accents a versatile flat crafted with a removable, anatomical cork footbed and a shock-absorbing sole. Style Name: Finn Comfort 'sacramento' Flat. Style Number: 972462. Available in stores. A patented sole design that adapts to the contours of your foot with minimal weight and maximum flexibility completes a cushioned leather flat featuring a polished geometric ornament. Style Name: The Flexx 'Rise N Curry' Flat (Women). Style Number: 5074073. Available in stores.